We deliver to Harvey pets on Labor day weekend! 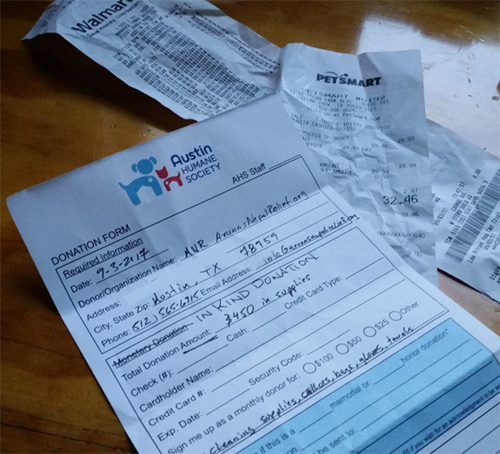 – ArunasNepalRelief, Inc.
On Labor day weekend, 2017, ArunasNepalRelief, Inc delivers Harvey Pet relief supplies to Austin Humane Society! Our crew almost always consists of family members, friends and neighbors who volunteer to help! This time it was our family members. Having adopted 2 dogs from Austin Humane Society in the past, adopted another one from the road (still with us), fostered 11 kittens and a nursing mom with two kittens and adopted them all out to families from Austin Animal Center, as well as adopted one of the kittens ourselves (still with us), numerous birds and other animals rescued, we decided to focus our second relief efforts on our furry family friends! Thank you all who donated to ArunasNepalRelief, INC to help Harvey relief cause! 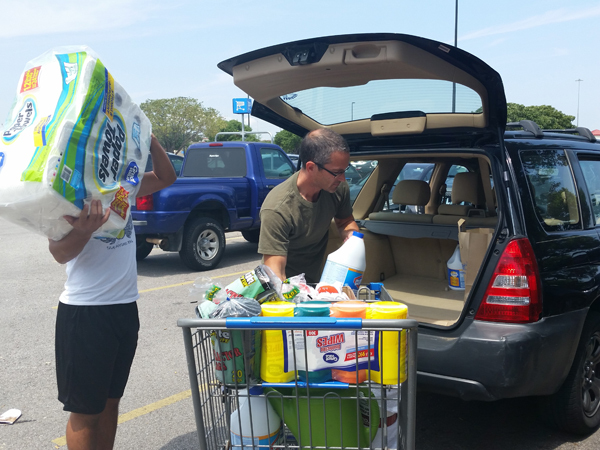 We appreciate your support and we were able to deliver supplies directly, twice, to humans and pets! Always make sure to go online to the animal shelter website to see the most updated wish list as their needs change through the course of relief supplies pouring in. We went to Austin Animal Center and Austin Pets Alive websites. 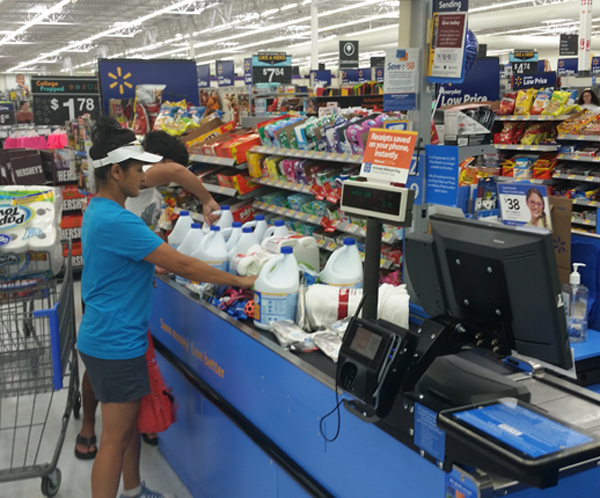 Sat morning’s list had already changed by Sunday morning, they had such an outpouring of relief supplies their needs had changed. Harvey pet relief supplies purchase. We went to Austin Humane Society’s website and they still had supply needs for the pets so we focused here! Many of the shelter are now needing volunteers, fosters and adoption so please go online and see where you can be of help! 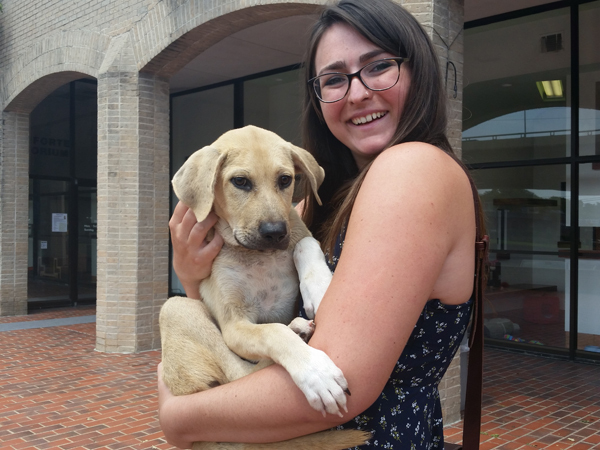 Harvey rescued pup gets adopted by this young lady and familyThis lady just adopted one of the Harvey rescued pup. She was very kind to give us permission to put this photo up. The pup was terrified and quiet but now in good hands with a good family. They need more people to foster and adopt that is their #1 need as we spoke to the staff and we saw first hand! The devastation continues but the human spirit is amazing as the rescue efforts have been immediate and continues. 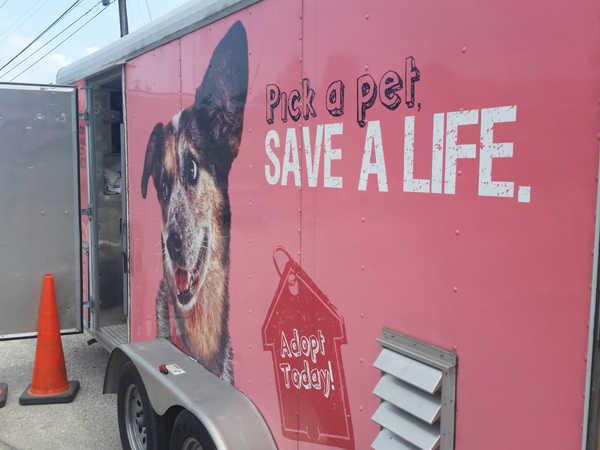 People helping people and people helping pets! 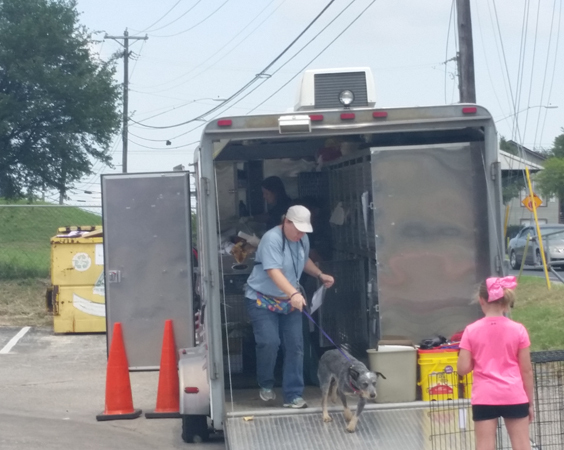 Here are two finall image from Austin Humane Society from their transport vehicle that had a bunch of crates bringing in more pets. We at ArunasNepalRelief, Inc continue our support wherever we can, whenever we can simply because we care! Thank you all who donated to us to help Harvey relief cause! We appreciate your support! Austin Humane Society transport vehicle. All animal shelters need more volunteers. Fosters are needed to house displaced animals and adoption is needed after all resources have been exhausted to unite family members!